Introducing my newest product that is aligned with Ontario Curriculum Expectations. It was written specifically for junior teachers (grades 4-6) in Ontario, but follows along a developmental curve. The lessons span from Grade 3 to Grade 6. First, you present your students with the Assessment For Learning. 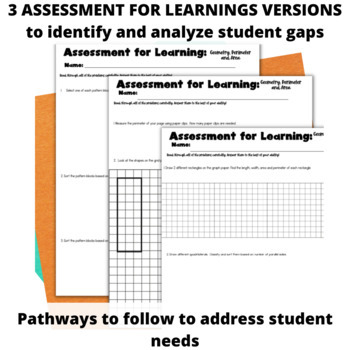 There are 3 versions of Assessment for Learnings - one for Grade 3/4, one for Grade 5, and one for Grade 6. This is great for teachers of combined classes, and with students on IEPs. This will provide you with in depth knowledge of what your students already know about 2D Shapes, Area and Perimeter. There is a corresponding answer guide and assessment tool that will help you to divide your students into Guided Math Groups. Once you know what groups your students are in, conduct the Guided Math Lessons. They are written developmentally, and are intended to help address and fill in any gaps and misconceptions students have on these math concepts. In total, there are 30 guided lessons, with corresponding anchor charts and worksheets for students to work on. This product is a great way for you identify and meet your students needs in mathematics. It provides you with specific developmental lessons to help move them along and meet curriculum expectations. 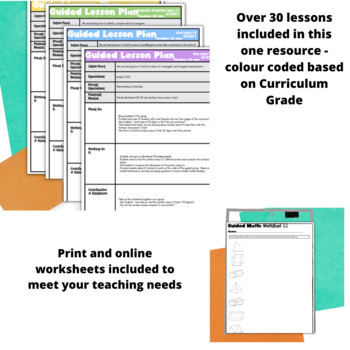 What is also great is that this Guided Package uses SPIRALLING: it focuses on a variety of curriculum expectations and strands, rather than just one! 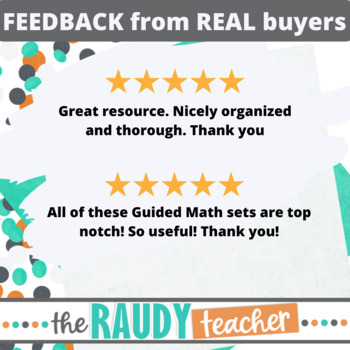 If you have been looking for a product to help you with guided math, then look no further! 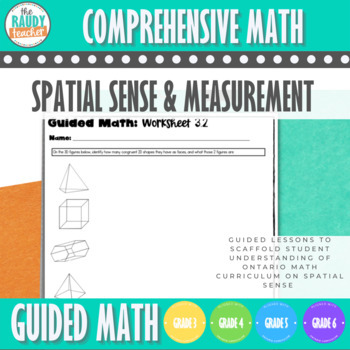 This product will make guided instruction in your math program a breeze! DOWNLOAD THE FREE PREVIEW TODAY! If you like this product, please keep checking back for more! More Guided Math Bundles will be added, so STAY TUNED! Check out my Fractions, Decimals and Probability Guided Math! 3D Shapes and Measurement Guided Math! Quantity of Whole and Decimal Numbers! Patterning, Data Management and Algebra! Be sure to follow my TPT store for updates on New and Upcoming Products. Leave feedback on my products and earn credits to spend on new TPT resources.